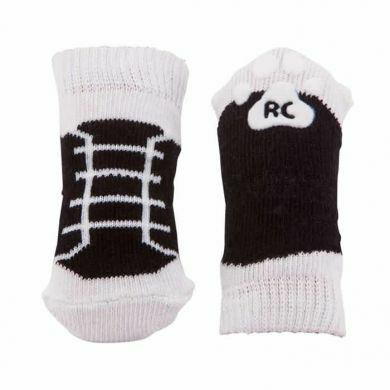 Keep your dog safe and feeling confident as they're careening around corners indoors, with a set of Pawks Anti-Slip Dog Socks. 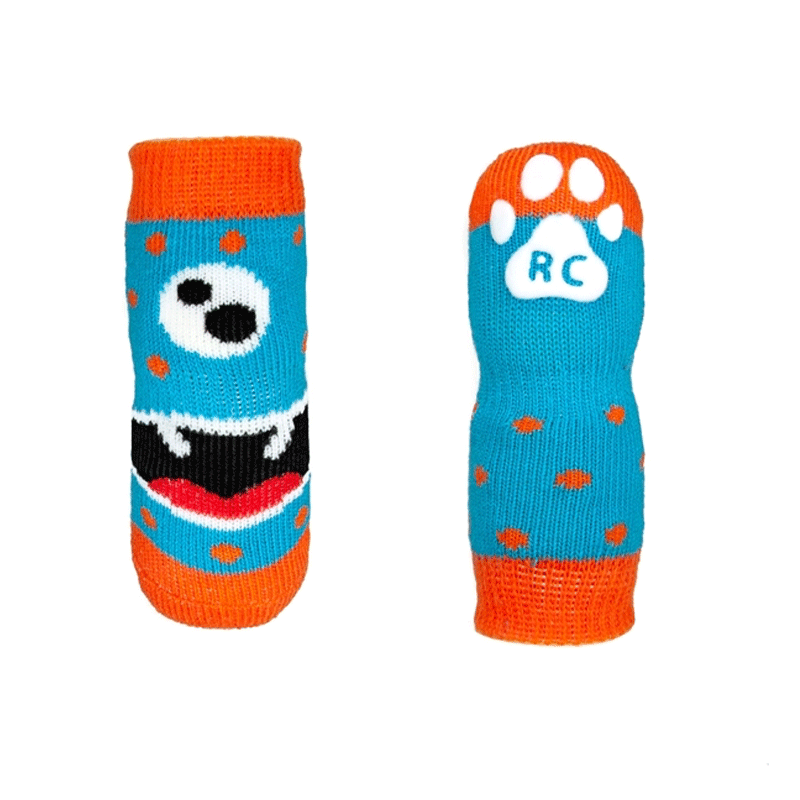 Made of soft quality cotton/spandex with an anti-slip traction sole, Pawks dog socks keep your dog steady on hardwood floors, tiles, stairs and other slippery surfaces. 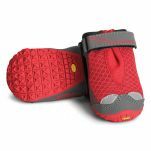 Pawks provide increased mobility and confidence in senior dogs. 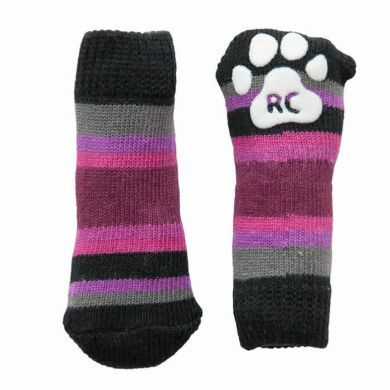 The correct sizing is important to ensure that the Pawks stay on your dog's paws. Please don't assume the size based on your dog's size. All Pawks come in a set of 4. 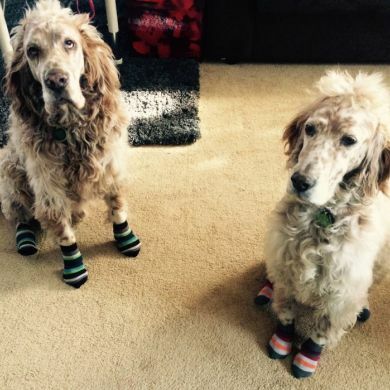 Read 21 customer reviews of Pawks Anti-Slip Dog Socks. The average customer rating is 4.4. 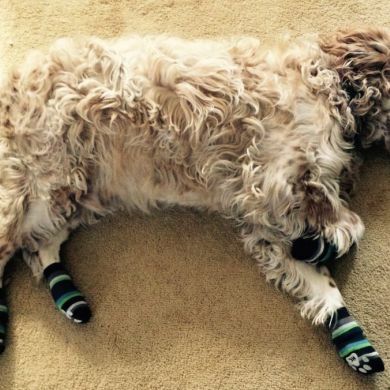 Our guy loves his anti-slip socks. They stop him slipping on our wooden floors and are saving our floors from getting too scratched as well! I wasn't sure how this would go, but needed to do something to protect our newly polished floors from any further damage. We have a 7 year old Cocker Spaniel. 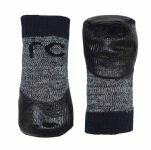 We are very happy with them and will be purchasing more. 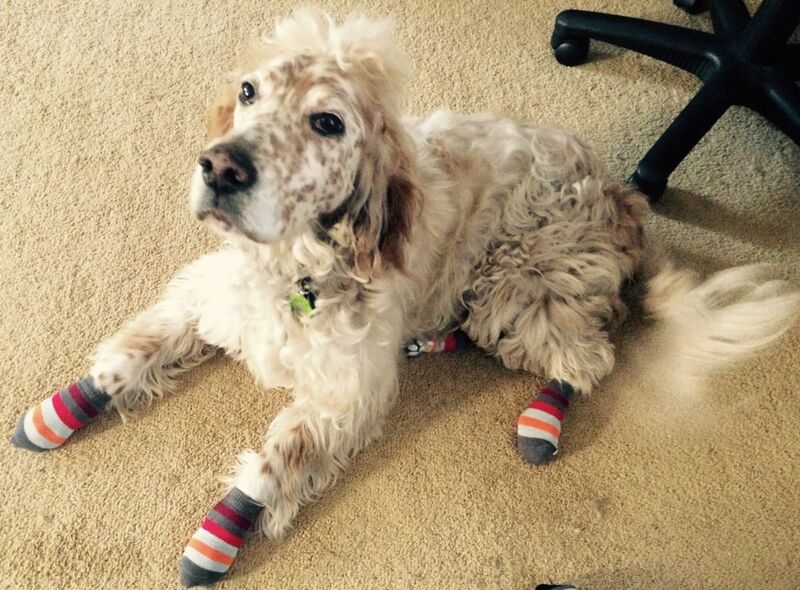 Chester lets us put them on and to our surprise hasn't attempted to take them off. We will probably need different sizes because of the his coat - the clipped and the non clipped! Great customer service too. Good fit, easy to put on. 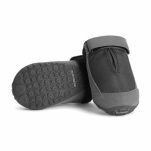 Warm, non-slip. Excellent! I purchased these to assist my 14 year old dog to keep his grip on our floor boards. When on and in exactly the correct position they did help, however, they spun around and came off completely all the time. Gave up after two days and went for Boots. These are a great product! 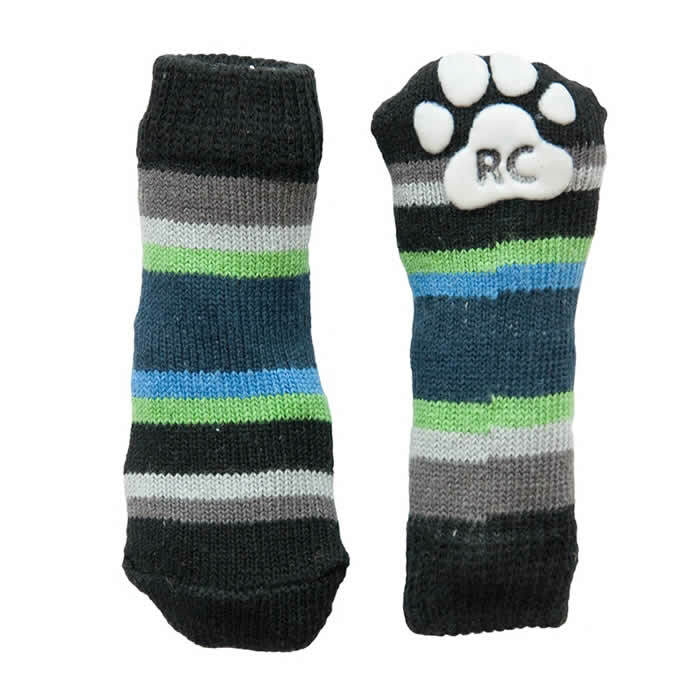 I got these socks because my dog was slipping over all the time on tiles and floor boards at friends houses. I was worried that he was going to hurt himself so decided to get him some anti-slip socks to try - and they worked amazingly!! 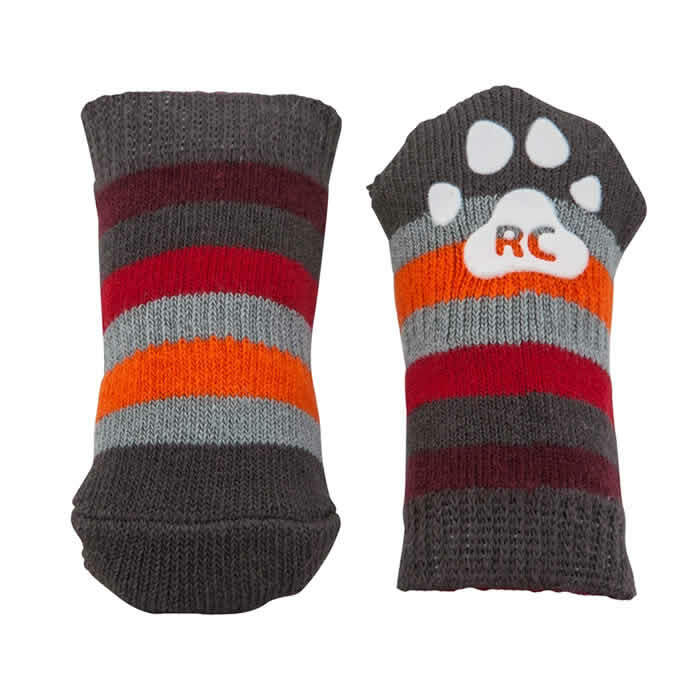 He has not slipped over once when he is wearing the socks, and he looks very cute - which is definitely an important factor when choosing pet clothing! 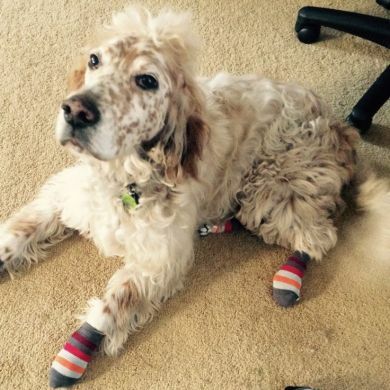 They stay on his feet well and he doesn't seem to mind wearing them around. 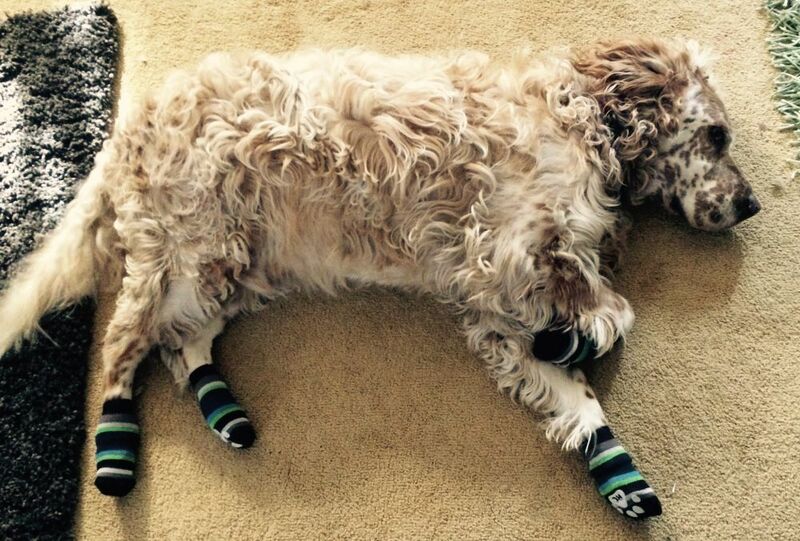 My precious 15 year old Cavalier was starting to struggle keeping his footing on our tiled floors, so I opted to give the Pawks Anti-Slip Dog Socks a go. 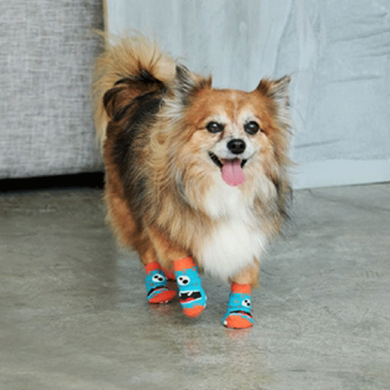 Not only does Baxter look incredibly sweet wearing them, he is now able to happily navigate our tiled floors, and it has definitely increased his confidence levels as a result. A highly recommended product! I use them with my Australian Cattle dog so we can run around the house together playing chasy on the timber floors. 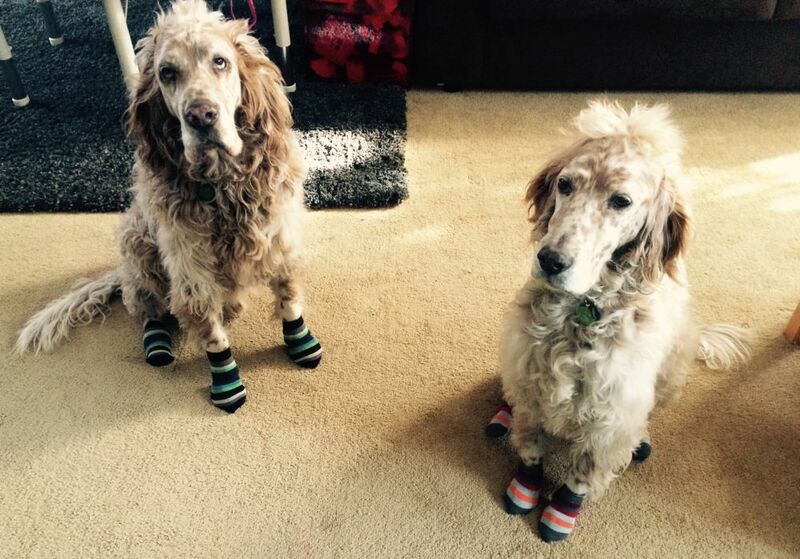 They are a firm fit and don't seem to bother my dog.